A reminder of 2 important things happening next week. 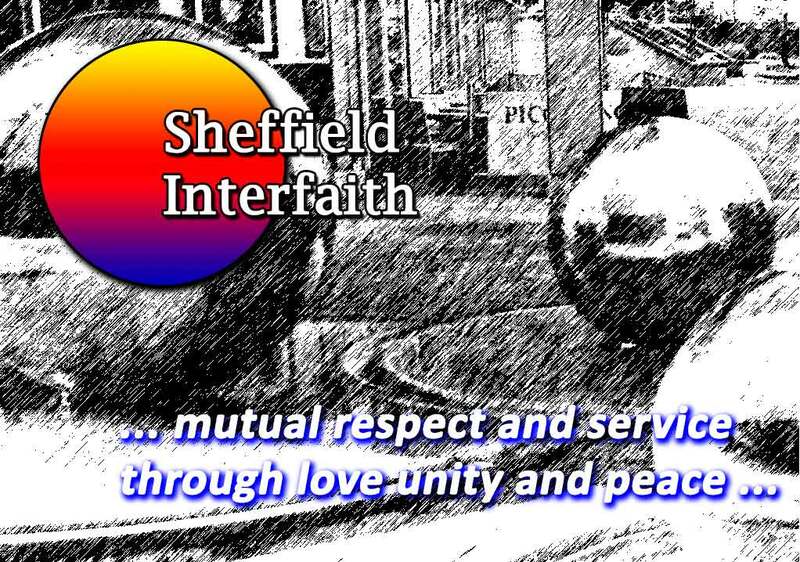 1) Monday 24th September, 6:00-8:00 pm SIF Annual General Meeting in the Multifaith Chaplaincy, level 2 Owen building, Sheffield Hallam University, S1 1WB. This is an opportunity to make suggestions for future shared activities, to renew or begin your membership, join our small committee or simply meet people from different faith traditions. After a quiet summer in terms of interfaith events, the Jewish High Holy Days and the autumn equinox, do join us for a ‘bring & share’ meal. People of all faiths (and food traditions), or none, are most welcome. We have fixed the dates for the next Food and Friendship dinners through the autumn and winter. The number 4 bus, which leaves the bus interchange at 17.35 stops outside. If you have not attended before, these are bring and share dinners. To be inclusive of varying dietary requirements, most dishes are vegetarian (though it is fine to bring meat dishes as long as you indicate this). We love to share traditional dishes from different cultures. A kettle, microwave and oven are available to finish off or heat up contributions that need this. Savoury and sweet foods are both popular, there is no need to book or inform anybody of what you wish to bring, but if you have any queries please contact this website or the St Andrews Psalter Lane Church Office on 0114 267 8289. These dinners are organised and hosted by Sheffield Interfaith, they are not Shirley House Interfaith Centre events. Shirley House Interfaith Centre is open to all faiths and everybody, it is not a membership group.